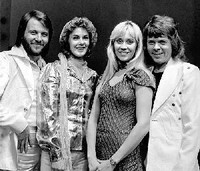 ABBA is one of the most successful bands in the world with over 200 million albums sold (and over 370 million records in total). The success began in 1974 when ABBA won the Eurovision Song Contest with the song Waterloo. Manager of the group was Stig Anderson.